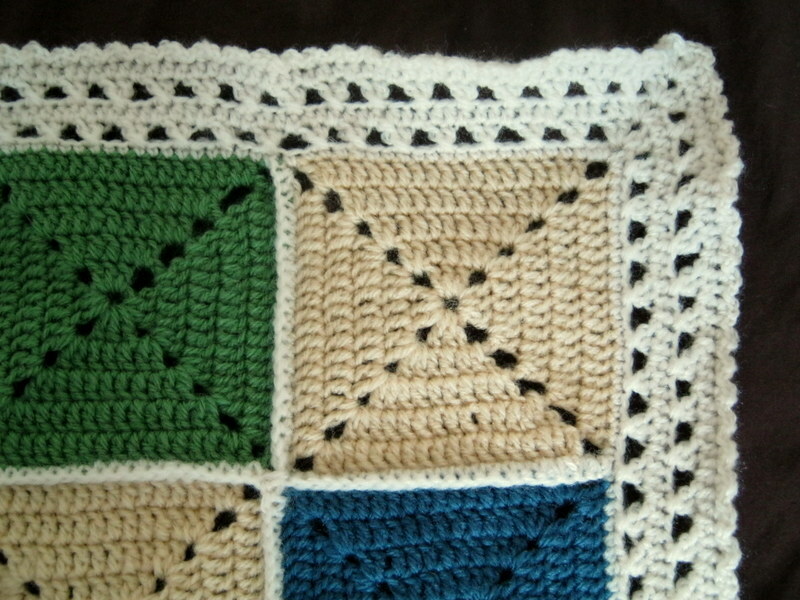 Ok, it’s not a surprise to anyone who reads this blog regularly that I love Crochet. In fact you may also have noticed that I have a tiny obsession with crochet blankets. 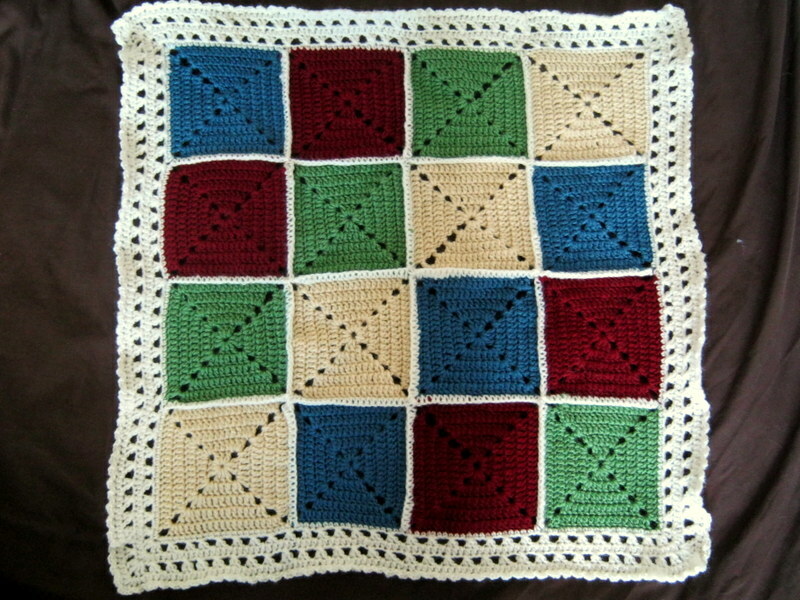 Well here’s my latest (in my defence, crocheting smallish squares is the perfect activity to stop you going to sleep at 3am in the morning when a colicky baby won’t let you put her down). I hope you like it as much as I do. I chose bright colours as this might well make it to one of my many friends who are expecting little ones of their own but don’t know yet what they are having. Again it’s a buggy/car seat size blanket as I’ve found these immensely helpful with both my little ones. I used Wendy’s Jubilee wool which is 25% wool. The colours have come up so well and the feel is so nice that I’ve actually bought more wool so I can make Little Man a big version to go on his bed! 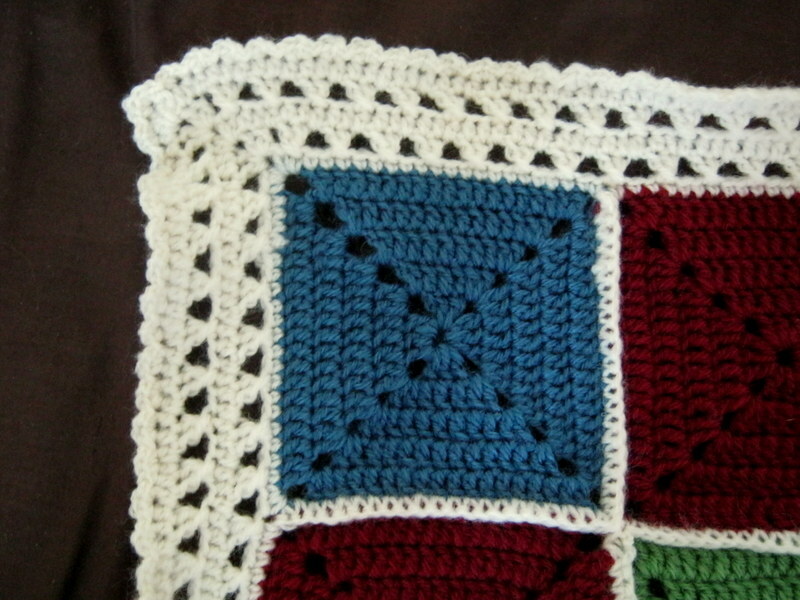 The border I took from issue 3 of the new crochet Magazine ‘Simply Crochet’. They used it for edging towels but I thought it would look perfect on this blanket. It needed some kind of edging but I didn’t want anything too frilly as I don’t want it to be girly. I had to tweak it slightly but I think it works really well. It definitely looks better that it did without the edging.